Description Give your family the security, comfort, and style that can only come from our 2017 Toyota Highlander XLE AWD brought to you in Predawn Gray Mica! Powered by a 3.5 Liter V6 that offers 295hp while connected to an innovative 8 Speed Automatic transmission that provides for brisk acceleration and a smooth ride everyone will enjoy. 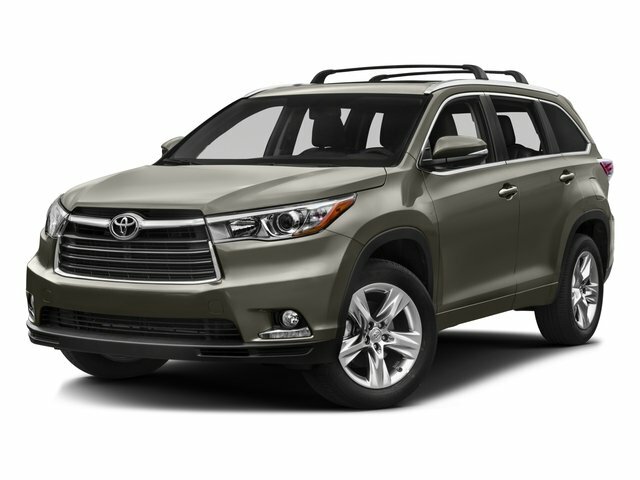 This All Wheel Drive Highlander delivers near 26mpg on the highway and looks impressive with its redesigned headlights, and prominent sunroof. There's plenty of space for everyone in the cabin of this XLE that features, heated leather-trimmed front seats, three-zone automatic climate control, a power liftgate, push-button start, and a backup camera. Entune Premium Audio is on board with its touchscreen display, HD radio, available satellite radio, Bluetooth, and 5 USB ports, so staying connected will be simple, safe, and comfortable. Peace of mind comes standard with Toyota Safety Sense featuring pedestrian detection, lane departure alert with steering assist, automatic high beams, and dynamic radar cruise control. Our Highlander is also equipped with the Star Safety system's enhanced vehicle stability/traction control, ABS, and smart stop technology. It's easy to see why so many people recommend the Highlander for those who require versatility, efficiency, style, and power in one perfect package! Print this page and call us Now... We Know You Will Enjoy Your Test Drive Towards Ownership! Call or text 931-881-7079 for more information.